last question, is there a way i can make a ItemStack applicable for ItemStack#shrink? Don't ever implement IInventory. Use capabilities instead. Don't extend BlockContainer. It overrides a bunch of methods you do not need, like the rendering method. Just override Block#hasTileEntity and Block#createTileEntity. IIngredient by default doesn't care for the stack size since it is only used for vanilla crafting bench and that one only operates in stack sizes of one. You need to check the stack size yourself. You are telling your TE to fill all inputs with an empty stack when it is done. Do you own mhfc.net? Because if you don't you can't name your package like that. And if you do - fix the security warning, I can't even access the site. Oh yeah, mhfc.net was our package since we started from 1.4.7 i'll have to rename this soon. 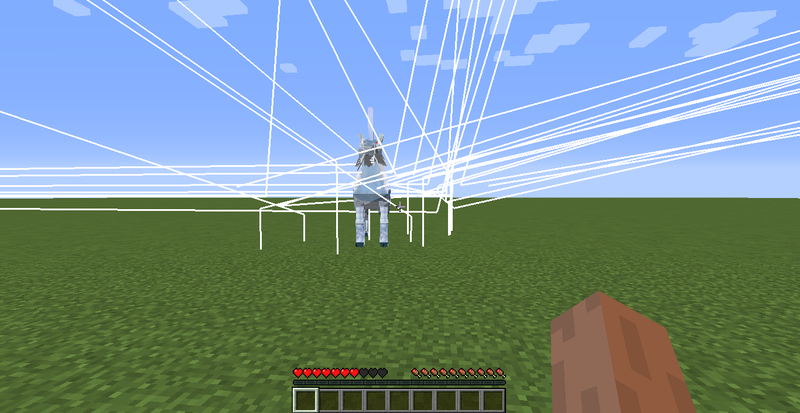 So im porting my mod to 1.12.2 fixed the errors most of it but bugs are everywhere since no reworks. 2018-11-18 11:28:19,538 main WARN Disabling terminal, you're running in an unsupported environment. [11:28:20] [main/ERROR] [FML]: Apache Maven library folder was not in the format expected. Using default libraries directory. [11:28:36] [main/INFO] [FML]: Starts to replace vanilla recipe ingredients with ore ingredients. [11:28:54] [Thread-6/INFO] [net.minecraft.client.audio.SoundManager]: OpenAL initialized. [11:29:13] [main/WARN] [FML]: Potentially Dangerous alternative prefix `minecraft` for name `hunter's bench`, expected `mhfc`. This could be a intended override, but in most cases indicates a broken mod. [11:29:13] [main/WARN] [FML]: Potentially Dangerous alternative prefix `minecraft` for name `stun trap`, expected `mhfc`. This could be a intended override, but in most cases indicates a broken mod. [11:29:13] [main/WARN] [FML]: Potentially Dangerous alternative prefix `minecraft` for name `bbq spit`, expected `mhfc`. This could be a intended override, but in most cases indicates a broken mod. [11:29:13] [main/WARN] [FML]: Potentially Dangerous alternative prefix `minecraft` for name `quest board`, expected `mhfc`. This could be a intended override, but in most cases indicates a broken mod. [11:29:13] [main/WARN] [FML]: Potentially Dangerous alternative prefix `minecraft` for name `explore area`, expected `mhfc`. This could be a intended override, but in most cases indicates a broken mod. [11:29:14] [main/INFO] [mhfc]: Server loaded 9 quests in 2 groups. [11:29:18] [main/FATAL] [net.minecraft.client.Minecraft]: Unreported exception thrown! Just fixed all this errors and dependencies now im dealing with this error anyone can help? Worldedit new jitpack repo for 1.12? Hello my mod depends on worldedit-forge / worldedit-core . Now im updating to 1.12.2 does anyone knows or have used a latest version compatible for 1.12 for worldedit? If your trying to render lightning I think you will find this useful. Is there any preferable tutorial regarding OpenGL/Renders that i can widely apply for Minecraft. Im planning to code a lightning bolt effect but i just dont know how to start with it. There are down times on here as well as anywhere else. I don't work on the forums I just know my way around the API somewhat, so I spend some of my down time helping other modders. Maybe your numbers are too big, try making them smaller. A way to find out the proper numbers would be to use set numbers instead of making it random like you are now. Without seeing the code your errors are almost endless. Im trying to render a lightning effects around Kirin just like in the monster hunter series by using light with a lenght popping in a random. But i manage to make it work however the lightnings length is endless like in the picture.. Anyone can guess what's my error here? I'm Heltrato, the founder of the Monster Hunter Mod in Minecraft. I'm searching for some who are making the textures and models for the mod. I also have knowledge in modelling and texturing since im an artist apprentice but I want more details and ideas that you guys can help me. If you haven't seen the mod before this is our mod thread. The Iterable is basically just a list with one item from each of your armor slots, so yes. If you want to check if the player has every single part equipped then you'd want to check every armorslot to see if your armor was there. you could do this with a for loop. Re-check your If statements. If the comment doesn't fire then your code doesn't reach the if statements. I also believe you're missing an bracket. I'm not sure if it'd make a difference here since Java should decide it belongs to the first applicable clause to which it could belong. I do believe you might not get past the ent.getArmorInventoryList() instanceof ArmorBase), since that'll return an Iterable of the Itemstack. Again, I'm not 100% sure. But you could start to check by inserting comments to see where exactly you're not getting further. So i need to check per equipment slots? Hello im having an issue with my event, i want it to make that whenever my custom entity base class attacks my own custom armor base class it deals the damage based on the calculations shown in the code. but what happens is i think it does not work and the system print wont show.. i have registered the event btw. Okay, i get it now, the absorb for armor is equals to damage * absorb ratio which is understandable. Hello i've been confused regarding the ArmorProperties parameters specially those 2 arent much of being documentated. So ArmorProperties has these priority, ratio and absorbmax. Priority is pretty much understandable. But Ratio and Absorb Max is kinda confusing. Does if i increased my ratio does that mean the absorb will be weaker or will it make it stronger to absorb.? How do you add Optifine in run - mods folder? So i saw this mods folder inside my forge mdk run folder.. But i keep getting crashed whenever i put the optifine which is the same version of Minecraft as mine.. Any tips about this. Changing the health system is not really complicated as most times the LivingHurtEvent is called. You could simply make a Capability that stores your entities health and substract the given amount. Then you set the amount to something near 0 so that the actual health doesnt matter. But I think this is to complicated for this simple thing. Or as Major Tuvok said subscribe to LivingHurtEvent, test if your conditions are given and then multiply the amount by something smaller than 1. Solved, i did have 3 multiple instances health bar for monsters, but since my mod have lots of features, it still making it more derpy or unbalance looking. So what i did is i just bypassed it with Reflection API. Solve btw. as a temporary resolve i might do that, but il try to hack still, maybe Reflection API? You could, yes. But you'd be incompatible with pretty much everything which tries to access max health. Whuuuuuuuuuuuuuuuuuuuuuuuttttttttttt????????????????????????????????? Why how why is there no safest hack to do with that? The maximum value is set in SharedMonsterAttributes.MAX_HEALTH. It is not really viable to change it. Then i shall create custom Attribute then? You implement it on your item class. The methods have extensive Javadocs, if you have specific questions, please ask. Okay, i think i got the ISpecialArmor now, only 3 important methods, the display,properties,apply.. And somehow its additive to the EnumArmorMaterial. - Why is that the maximum health for every mob is only 1024? (in previous MC Version we can go way higher than that am if not mistaken ). Is there a way i can exceed it?